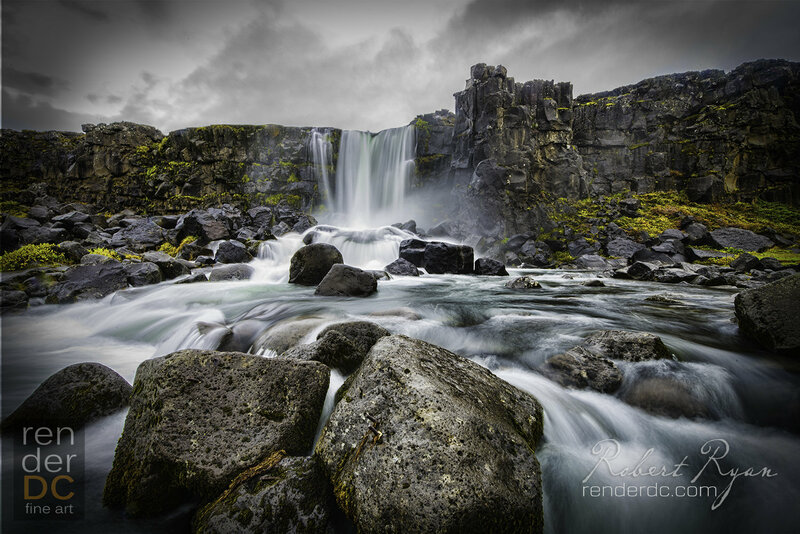 A beautiful waterfall found in Thingvellir National Park, Iceland. This image is printed on a laminated, Metallic Pearl that glows with intensity. Also available in a colour enhancing, Resin coated Gallery Canvas Wrap.